The highlight of the year was my presentation in London – not only my first time giving a presentation internationally, but also my first time visiting the city and the country. It was a wonderful experience for me! 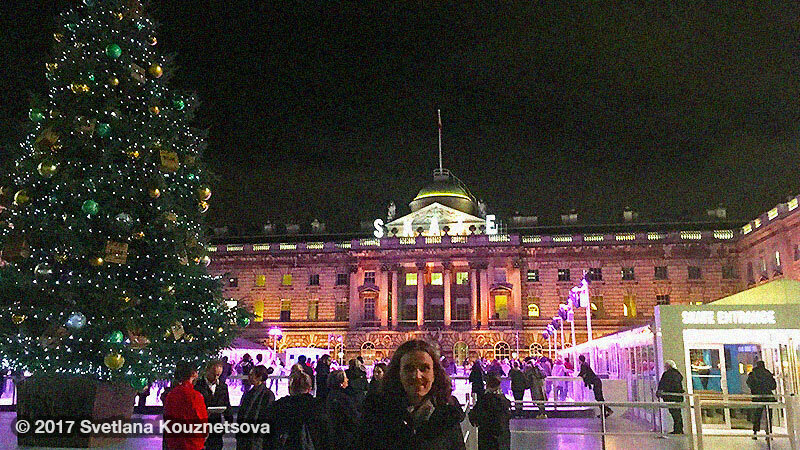 On the picture above is me standing in front of a Christmas tree and a skating rink at Somerset House in London. You can read more about my London experience. Lately there has been a lot of talk about diversity and inclusion – which is great! Sadly, people with disabilities are often excluded. Diversity and inclusion means nothing without accessibility. Many events are still not accessible to me as a deaf person. People with disabilities are very different in their needs and abilities, so the wheelchair icon is not a proper symbol of accessibility. The most concerning problem for people with disabilities is the HR 620 bill that will weaken the ADA. If you care about accessibility and people with disabilities, please contact your representatives to make sure that the bill doesn’t pass. Businesses have no excuses not to comply with laws that have been around for 27 years. Even though we live in 2017, we are still forced to use the phone as the main way to communicate. I already wrote a few years ago about why phone is a thing of the past. If your organization or any organization you know is interested in working with me on the solution, let me know. This year I got to finally enjoy the long awaited movie, Wonder Woman – my favorite superhero since I was a little girl. I wrote about why she has been among a few role models when growing up. Sadly, I had a bad experience watching it for the first time due to the issues with a closed captioned device, so the theater let me watch it again with OPEN captions on a screen (which should be a common practice in all movie theaters). There has also been a lot of talk about artificial intelligence. I shared my insights about this. to get on Santa’s Nice List in 2018? Become more friendly to people with disabilities by making your products, services, events usable and accessible. Accessibility is universal design benefiting more people than just those with disabilities. writing an article or blog post for your website. I’m also the owner and founder of Audio Accessibility providing consulting and training to organizations on how to make their aural information (audio, video, events) accessible to deaf and hard of hearing people. I’m an author of a book, Sound Is Not Enough: Captioning as Universal Design. To get updates from me about accessibility, user experience, technology, and related topics, sign up for my monthly newsletters. You can follow me on social media – Twitter, LinkedIn. Feel free to forward this information to any other organizations who you know that may benefit from my services. Wishing you and yours a wonderful holiday season and a happy, healthy, prosperous New Year! Looking forward to working with you in 2018!